In order to be able to use the level editor, you will need a copy of the game's Stage Folder, which contains all the original levels and tilesets which the editor will use. There are several ways to obtain the game's files, which are listed below. It is recommended to dump all the files in the disc, because you might need them in the future. These methods are fully legal, because they require you to own the game disc. You will also need an homebrew-enabled Wii. You can find an excellent guide for enabling homebrew here. 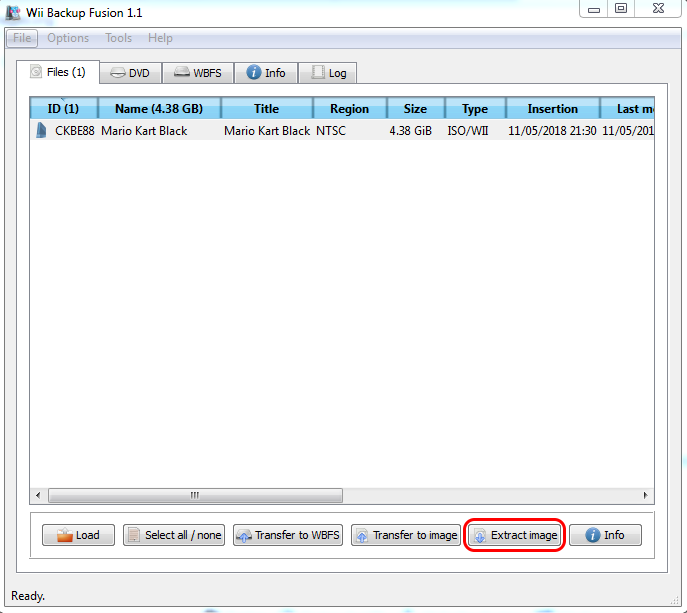 ReggieDumper is a small homebrew app which allows you to dump New Super Mario Bros. Wii's files. If you only want to get the files needed for Reggie, press A. To get the entire content of the disc, press B. Let the app do its job, and when it finishes press Home to go back to the Homebrew Channel. Now, put the SD Card/USB Drive back into your computer. You will find a folder named reggie, with the dumped files inside. Proceed to the next tutorial to continue preparing your setup. 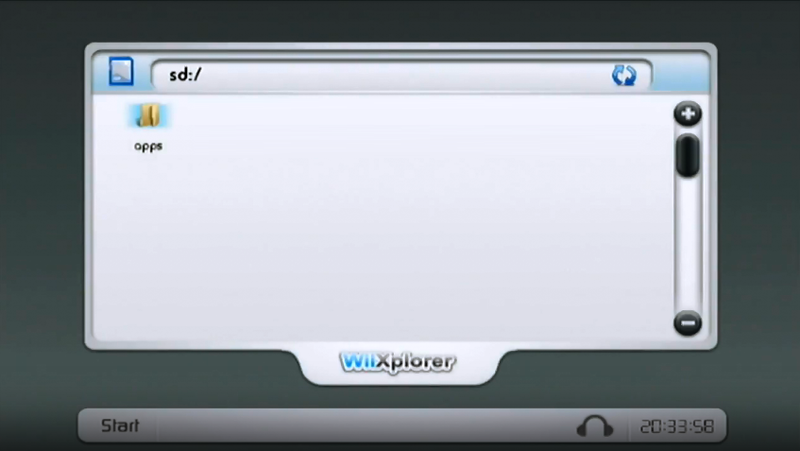 WiiXplorer is a file explorer application for the Wii. Along its countless features, it allows copying files from Wii Discs, which is the scope of this guide. Now click on the SD Card symbol on the top left corner, then choose DVD. Pay attention not to switch back and forth between these two too quickly, or the app will crash. After the disc is loaded, click on any folder to make the disc's directories appear. You will see two folders, named respectively "0 Update" and "1 Data". The first contains updates for the System Menu, while the second contains the actual game files. If you want to get the Stage folder only, go to 1 Data > files. Once you find the Stage folder, hover the pointer over it, press + and choose Copy. Then switch back to the SD Card/USB Drive, press + anywhere and choose Paste. If you want to get the entire disc, do the same as above, but copy the entire 1 Data folder instead. After the operation is complete, press Home to exit the app/turn off the Wii. Insert the SD Card/USB Drive back into your computer to access the dumped files. You can then proceed to the next tutorial to continue preparing your setup. For those who have decided to sail the high seas, there are three other methods which can be used to extract the game's files. You will not find any download link for the game on this site, so search for one yourself. 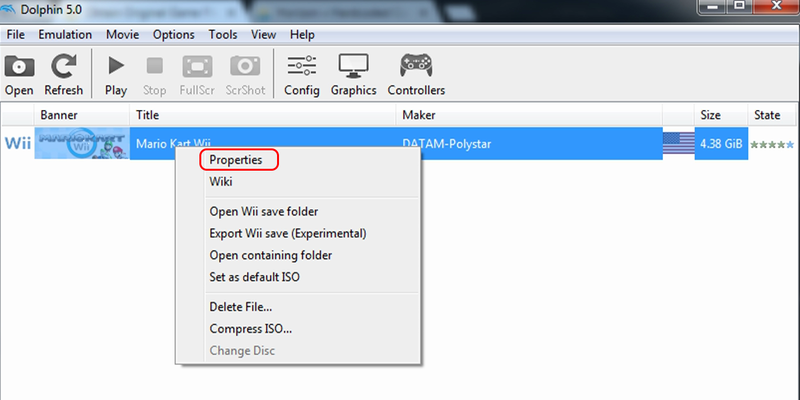 An easy (and usually unnoticed) way to extract any Wii game disc is to use Dolphin's filesystem feature. Install Dolphin and open it. Once in, add the folder your ISO/WBFS file is in. Right-click on the game and press Properties. In the window that opens, move to the Filesystem tab. Once there, right-click on Partition 0 (or Partition 1 if there are multiple ones) and choose Extract All Files, or you can manually find the Stage folder by looking in the directories and extract it individually. Optionally, you can extract the game's executable by clicking on Extract DOL. Now choose a folder where to extract the disc, and let the extraction complete. You can then proceed to the next tutorial to continue preparing your setup. 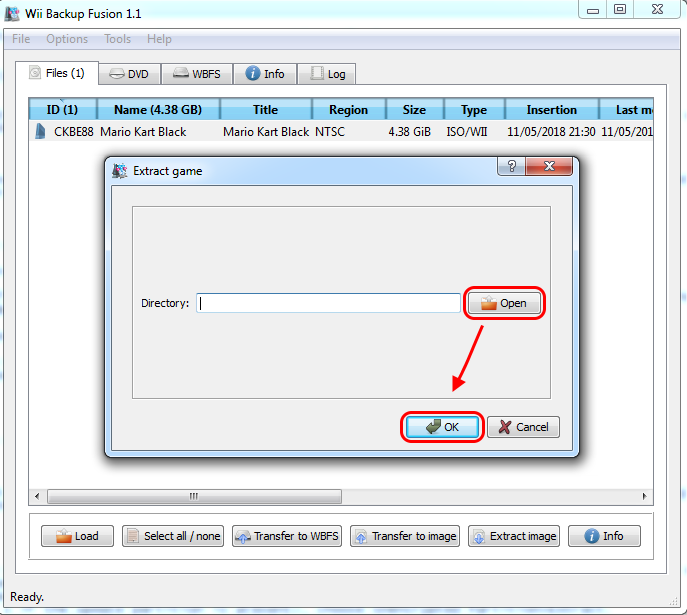 Wii Backup Fusion is a user-friendly version of Wiimm's ISO Tools, a fully-fledged ISO/WBFS manager. It's also the fastest tool in terms of extraction time, so it's really recommended to use it. Download the program from the given link, extract the archive wherever you want and start the program. After that, click the Load button on the bottom-left corner of the window. Now browse to the folder where the ISO file is. Once the program finishes scanning it, select New Super Mario Bros. Wii and then click on Extract Image. 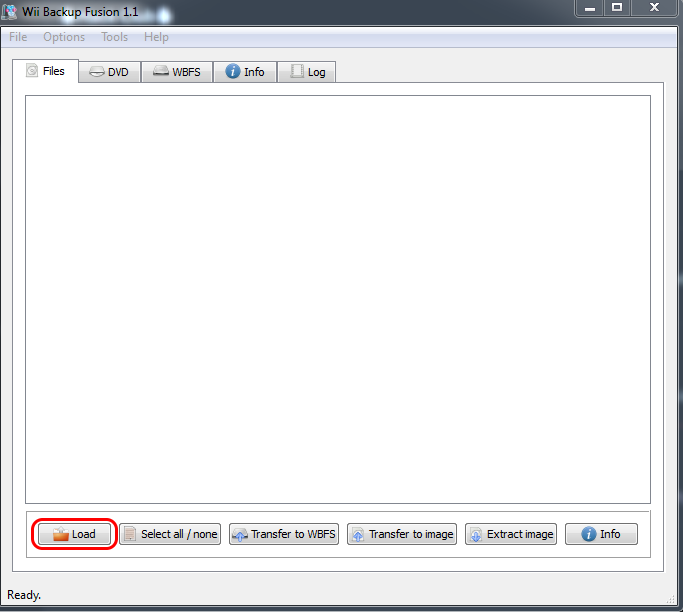 In the window that appears, click on Open and choose a folder for the files to be extracted in. Once you are ready, press OK to start the extraction. Once the extraction is done, proceed to the next tutorial to continue preparing your setup. 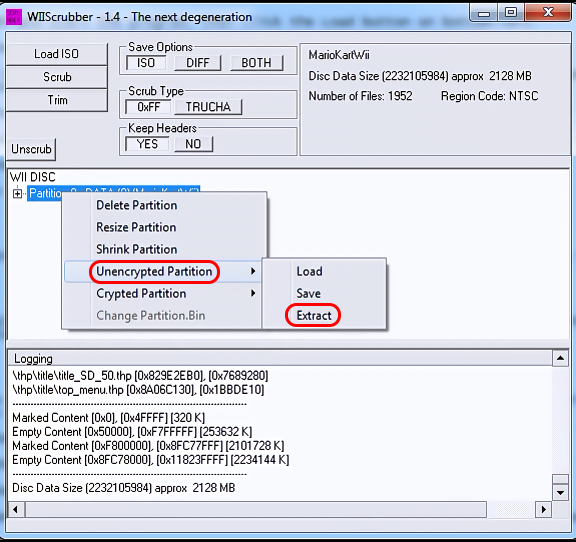 WiiScrubber is an old ISO manager tool, exclusively for Windows platforms. It is recommended to use other methods for extracting the game's files. Download WiiScrubber from the link above and run it. Once you're in, click on Load and choose the ISO file. After it loads, right-click on the partition named DATA (which is usually Partition 1), then choose Unencrypted Partition > Extract. Choose the destination folder and wait for the extraction to finish (it may take some time). When it ends, you can close WiiScrubber (if a message appears, ignore it and click on Yes). Proceed to the next tutorial to continue preparing your setup.